Happy Friday Maharanis! 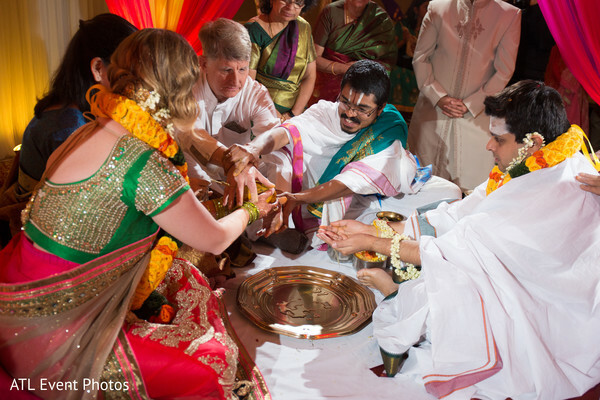 Ready to knock your socks off with this fusion South Indian wedding impeccably planned by KIS (cubed) Events! 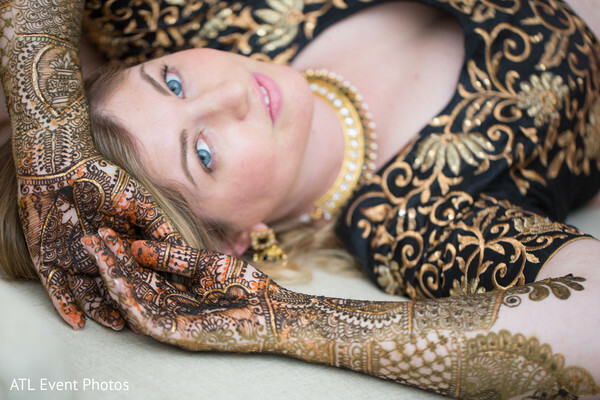 We meet our wonderful bride Kim at her mehndi party dressed in a black and salmon pre-wedding lengha with gold detailing as she shows off her freshly mehndi'd hands intricately designed by the experts at Henna Cafe! 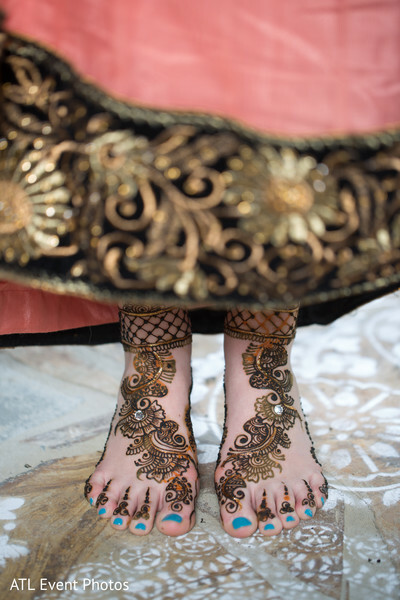 Her guests were also well taken care of receiving stunning mehndi designs compliments of Beauty You Deserve! 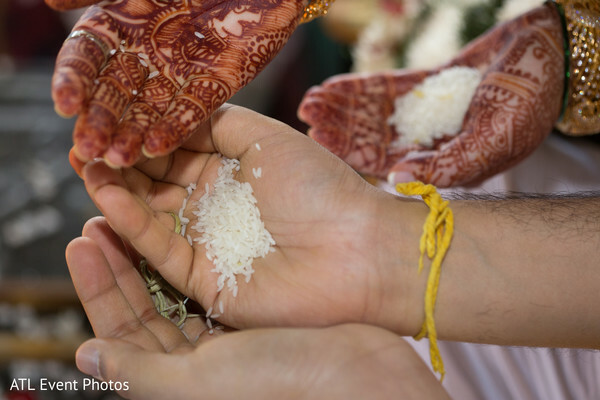 After the night of pre-wedding celebrations our couple is ready to get hitched! 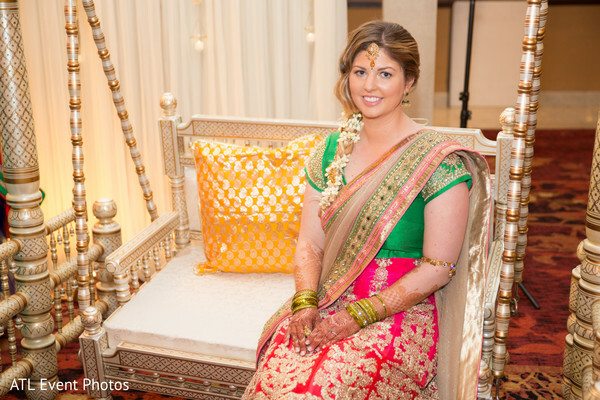 As our bride is getting ready to marry the man of her dreams she can't help, but smile at the mere thought of him! 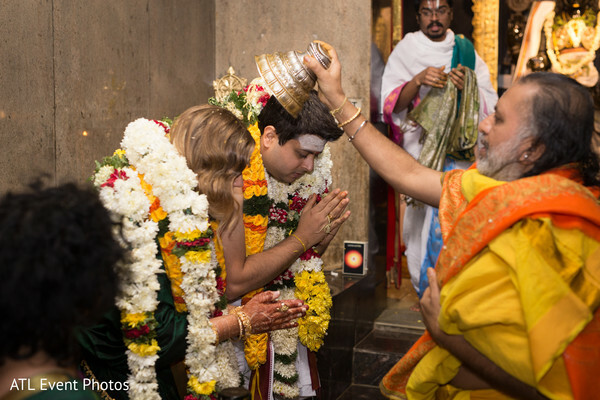 Our lovebirds join together at their South Indian wedding ceremony in the heart of Atlanta held at the Hindu Temple of Atlanta when Kim changes from her emerald green and hot pink lengha to a deep green bridal sari and gold belt—perfect mix of traditions! The now newlyweds are too sweet during their ravishing wedding portraits captured by Trent Chau of ATL Event Photos! Can't wait to share with you the second wedding ceremony as the floral and decor provided by Aayojan were quite a sight as the guests enjoyed the scrumptious food by S3 Catering and delectable wedding cake designed by Confection Perfection! 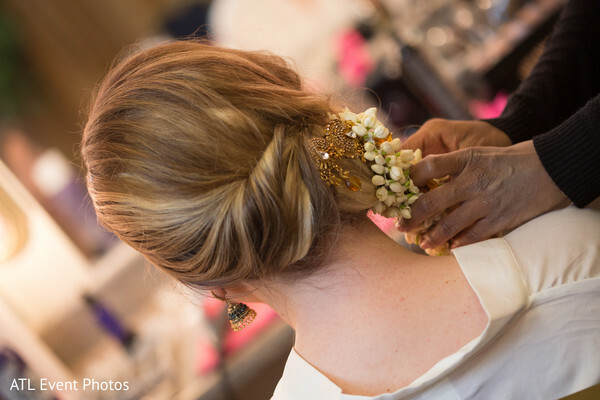 Take a look at the complete gallery to see more looks from the pre-wedding celebrations! I'll catch you back here in a bit for the Christian wedding ceremony and reception for this fusion wedding! KIS (cubed) Events, Henna Cafe, Beauty You Deserve, S3 Catering and Aayojan are members of the Platinum Guide. Love what you see? Explore their portfolios.